1. Students please print off a copy of the below parent permission form. (Click on the picture below to download the pdf). ​2. Have your parent/guardian sign the form. 3. 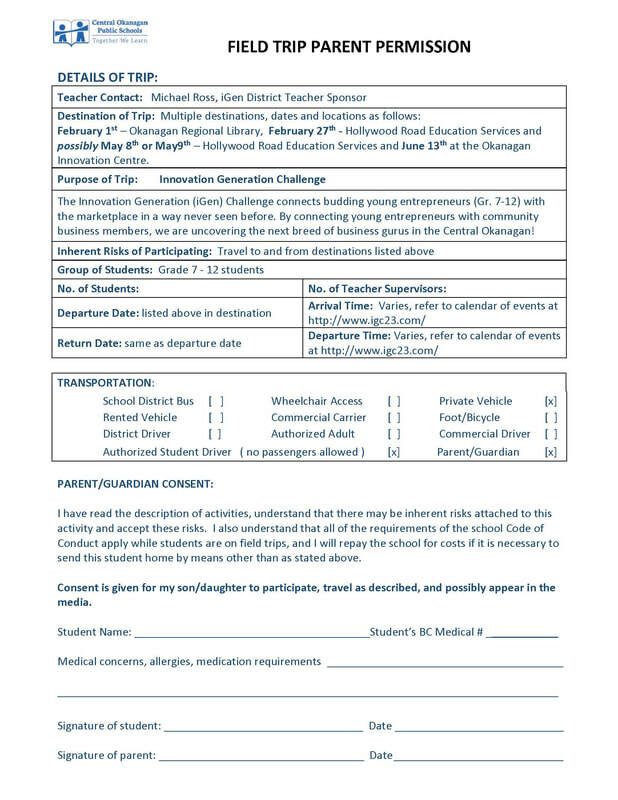 Return the signed form to your school Career Center or iGen Teacher Sponsor.